Rhône-style wines are everywhere, but do you really know what this oft-used designation means? From the grape varieties to flavor profiles, here’s your cheat sheet to what makes a Rhône wine. Rhône grapes, Rhône Valley, Rhône-style wines, Rhône rangers…you may have heard these terms bandied about, but what do they actually mean? First things first: The Rhône, a major river in France, rises in the Alps and flows south to the Mediterranean Sea. This river lends its name to the southern French wine region on its banks, the Rhône Valley, as well as its major AOC, Côtes du Rhône. The indigenous grape varieties that grow in the region, like Syrah, Grenache, Mourvèdre, Viognier and Roussanne, are often referred to as Rhône grapes. So, regardless of their place of origin, wines made from these grapes are said to be Rhône-style wines the world over. While wine has been made in Asia Minor and Europe for thousands of years, some regions, referred to as the New World, evolved later. In the Old World, grape varieties evolved alongside the regions from which they were grown. It’s why many European wines are known by their region, rather than grape variety. Rioja, Champagne and Chianti are prime examples, while villages like Pommard and Chablis are used to identify the Pinot Noir and Chardonnay wines produced from each, respectively. In contrast, New World wine regions evolved as immigrants planted grapes brought from their homelands, primarily those popular in Europe. Sometimes this worked, and sometimes not. As wine in the Americas expanded in popularity and reach over the past 50 years, many New World growers looked to the most prestigious regions in France for inspiration. This is why Cabernet Sauvignon, forever entwined with the great wines of Bordeaux (and to a lesser degree, Merlot), became so heavily planted throughout the New World. This trend worked well in places that were climatically and geologically suited to those of these Old World grapes. Napa Valley Cabernet Sauvignon is a great example. In cooler regions, winemakers also started to experiment with Pinot Noir and Chardonnay, the red and white grapes associated with the great wines of Burgundy. As winemakers and grape growers learned more about the climate and soils of their new homes, the indigenous grapes of the Rhône emerged as an interesting prospect. However, being less recognizable than varieties like Cabernet Sauvignon, Chardonnay or Pinot Noir, the term “Rhône-style” became useful shorthand for wines made from the region’s native grapes. The Rhône is one of the classic French wine regions. It starts in central France, just south of Lyon, stretching almost to the Mediterranean Sea. The region comprises many storied appellations (defined areas with legally mandated grapes and wine styles) that take their name from communes along the river. 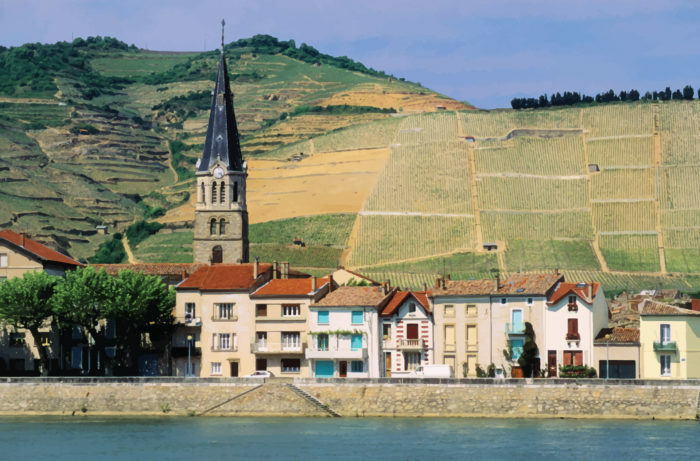 The wine world makes a distinction between the Northern Rhône, which runs from the town of Vienne to just south of Valence and claims Syrah as its chief red grape, and the Southern Rhône, south of Valence to just south of Avignon. There, grapes like Syrah, Grenache, Mourvèdre, Cinsault, Carignan and Counoise are made into red blends, while Marsanne, Roussanne, Viognier and Clairette are popular choices for white blends. Condrieu: White wine made from Viognier. Château Grillet: White wine made from Viognier. 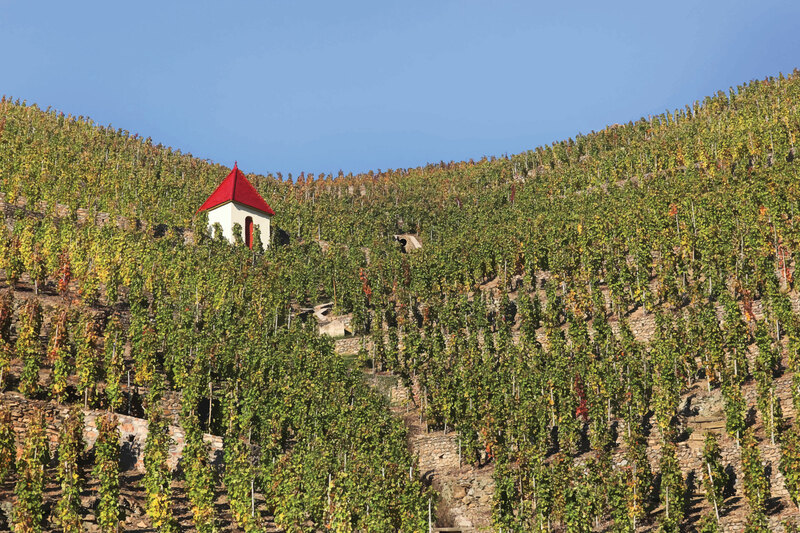 Saint-Joseph: Red wine made from Syrah, white wine made from Marsanne and Roussanne. Crozes-Hermitage: Red wine made from Syrah, white wine made from Marsanne and Roussanne. Cornas: Red wine made from Syrah. Saint-Péray: White wine made from Marsanne and Roussanne. Northern Rhône reds made with Syrah are big, bold, spicy wines with a firm tannic structure in their youth, while Southern Rhône red blends are based mainly on Grenache and have rounded, warm, red fruit flavors. Châteauneuf-du-Pape: Red and white wines made from blends of Syrah, Grenache, Mourvèdre, Cinsault, Muscardin, Counoise, Clairette, Bourboulenc, Picardan, Piquepoul, Roussanne, Terret Noir and Vaccarèse. Côtes du Rhône and Côtes du Rhône Villages: This covers a vast area and stands for red and rosé wines made primarily from Grenache, Syrah, Mourvèdre, and white wines made primarily from primarily Grenache blanc, Clairette, Marsanne, Roussanne , Bourboulenc and Viognier. Some of these Côtes du Rhône Villages are called Rhône Crus and make wines under slightly more stringent regulations. Notable villages of this latter designation are Vinsobres, Rasteau, Gigondas, Vacqueyras, Lirac and Tavel. What does a Rhône wine taste like? Northern Rhône reds made with Syrah are big, bold, spicy wines with a firm tannic structure in their youth. Depending on the appellation, the wines can be rustic, even meaty, or supremely elegant, often with floral overtones. The best of these wines have very long aging potential. The Northern Rhône whites based from Viognier are aromatic, full-bodied wines reminiscent of apricot and summer blossom. When aged in oak, they can be supremely creamy. Whites based on Marsanne and Roussanne, either alone or blended, are underrated. They create fascinating table wines due to their herbal aromas, full body and wonderful texture. Southern Rhône red blends are based mainly on Grenache and have rounded, warm, red fruit flavors. They tend to have elevated alcohol levels and beautiful ripe fruit. The best reds have the earthy-herbal scent of garrigue, local scrub comprised of bay, lavender, rosemary and juniper. Some of these wines are rustic and inky, while others are lyrical and light. 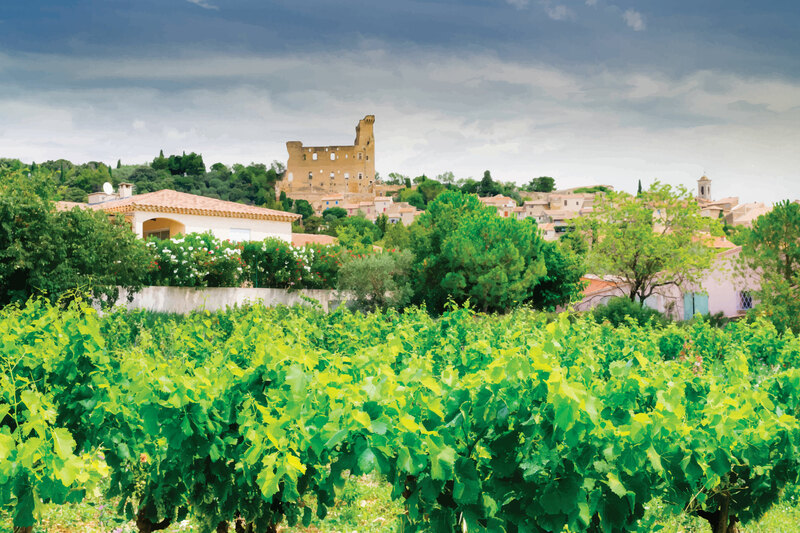 Southern Rhône wines can range from simple, easy summer wines to very complex, oak-aged whites like Châteauneuf-du-Pape Blanc, which are rounded and best enjoyed after a few years of bottle age. For an idea of how Syrah, Grenache and Mourvèdre taste in the New World, check our primer on when the same grapes have different names. To New World consumers, Rhône varieties weren’t as easily grasped as more familiar grapes like Cabernet Sauvignon, Merlot or Chardonnay. So, a group of winemakers around California’s Central Coast united to form the Rhone Rangers. Led by figures like Randall Grahm of Bonny Doon Vineyard, Bob Lindquist of Qupé and the Haas Family at Tablas Creek in Paso Robles, they united to promote Rhône varieties. Today, the association is active with chapters in California, Michigan, Virginia and Arizona.